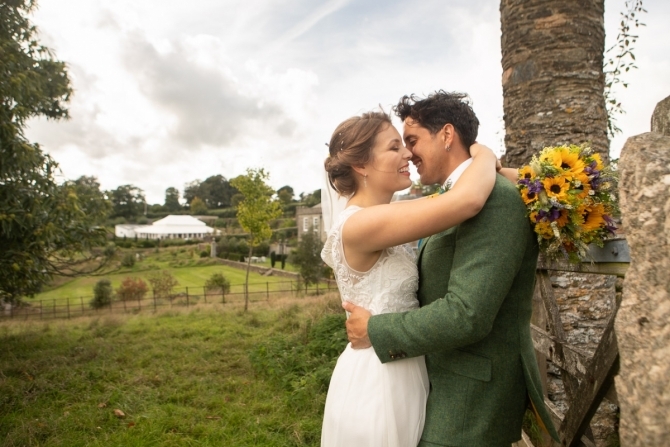 A professional and friendly consultation process; in-depth knowledge of our venue; a genuine want to get to know my husband and I and what we wanted from our photos meant Khalile and his wife Tamsyn took wonderful photos, made our family and friends feel at ease, made them laugh and left a lasting impression on them as well as us! The results were perfect! 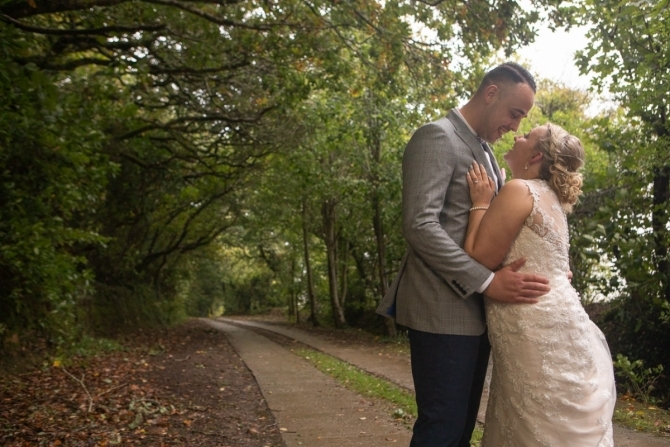 Tory and Ben's Carbis Bay Hotel wedding really was a day for a couple matched in heaven, and absolutely everyone present could see it! They were positively beaming whenever they were in each others vicinity. 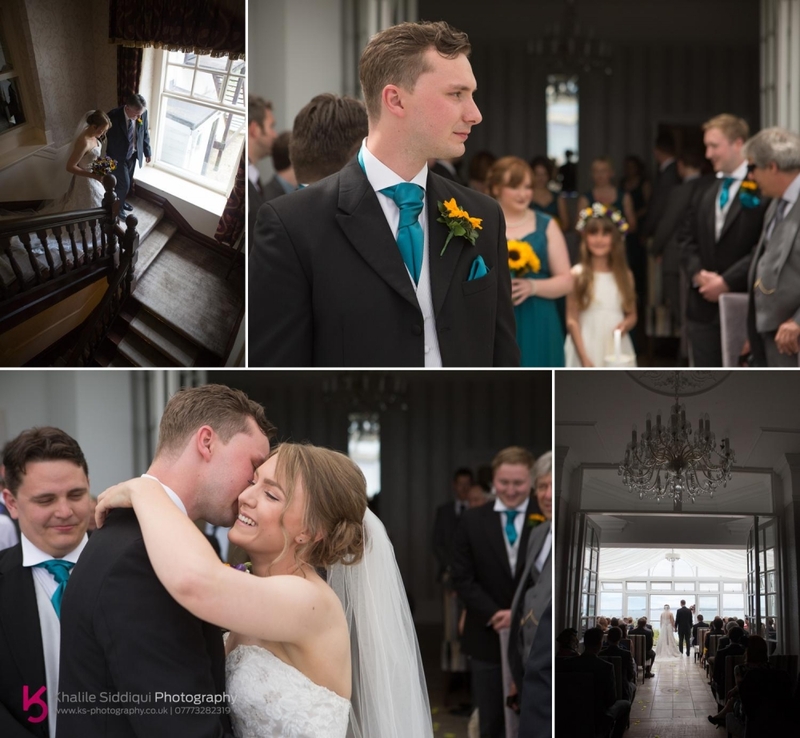 Tory and Ben came to us after receiving a recommendation about a year ago, or should I say Ben received a recommendation, as bless him, apart from the wedding dress he planned everything, from the Flowers by Clowance, to the Moss Bros suits, and the photography too. 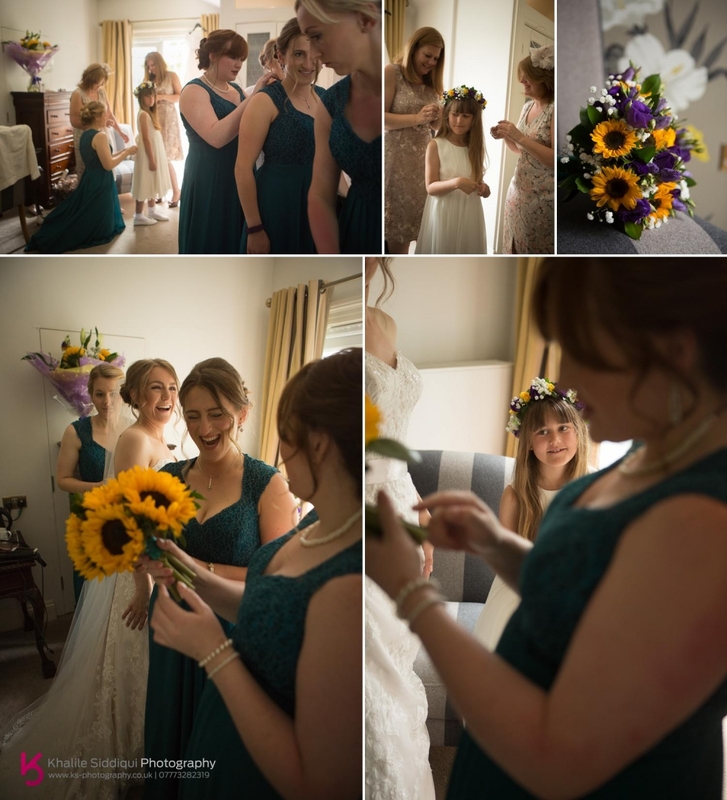 Ben requested that we met at the apartment where most of the groomsmen were staying, where the boys were getting ready prior to heading to Carbis Bay Hotel. On arrival to the hotel I left Tamsyn with the boys, as unusually Tams wasn't booked to do the makeup for Tory as Ben got the hotel to do it. (Quite often she gets booked to do the makeup at a wedding, and then being as she's around all day doing the second shooting she does extra freshen ups or changes of look for the evening). 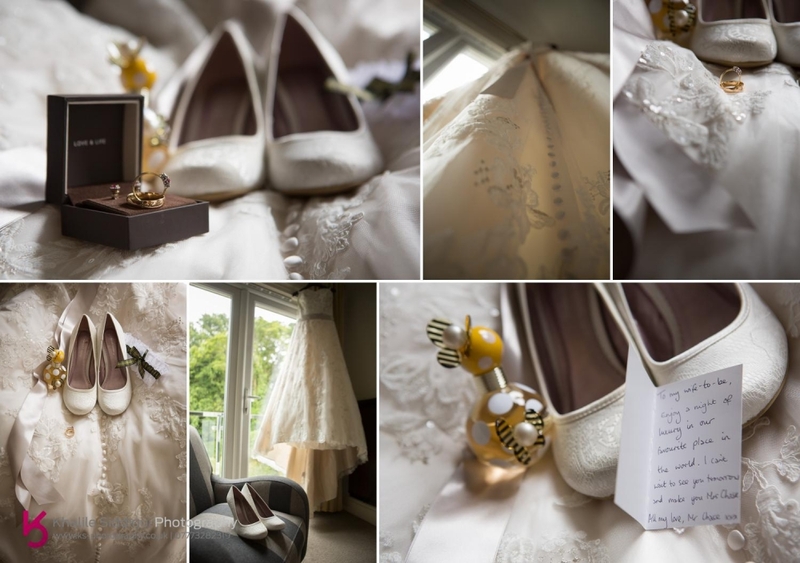 Tory went to True Romantica in Kenilworth to purchase her wedding dress which was a lot closer to home for her, and was helped into it by her loving sister and mum. 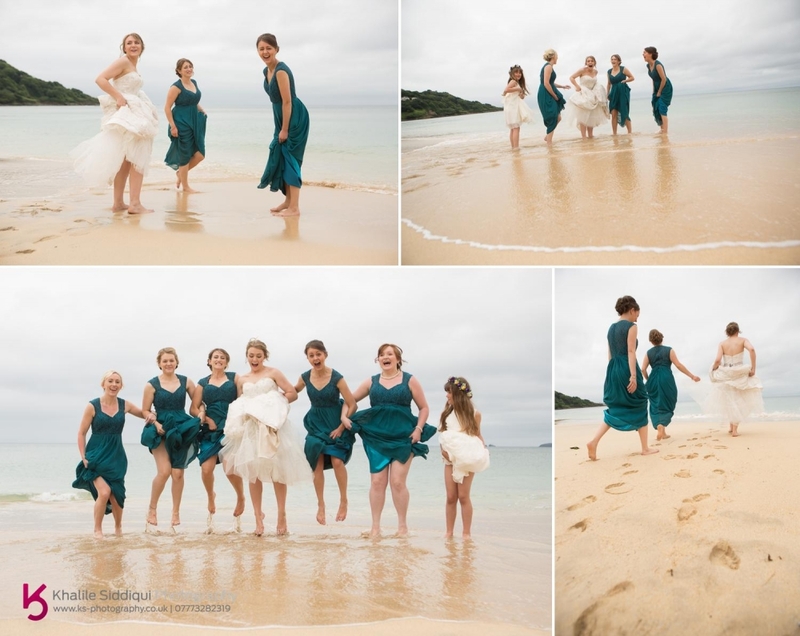 Tory's five bridesmaids dressed in ankle length teal dresses looked on while I got shots of their best friend in the newly decorated suit the girls were getting ready in. 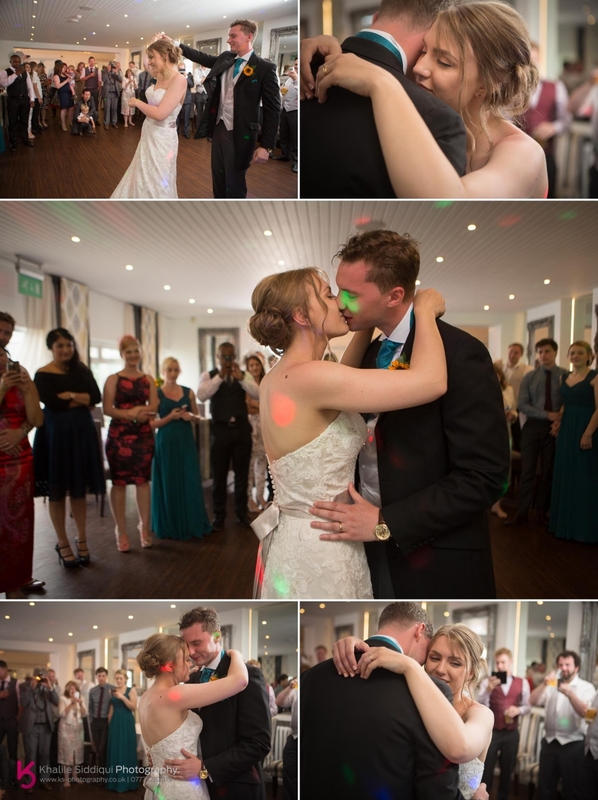 It really was a lovely ceremony, and we were treated to not one but two songs provided by two of the bridesmaids singing solos, and I have to say, I can't remember the last time I saw SO many people in tears during a ceremony. 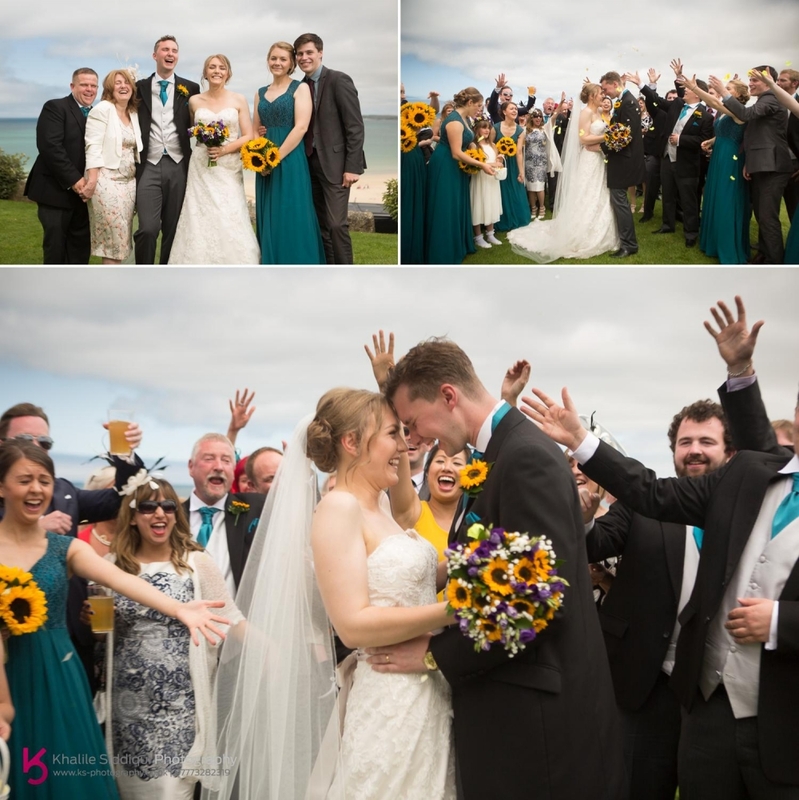 It was such a lovely warm day, that after the ceremony everyone headed outside to enjoy the sun and sea views. 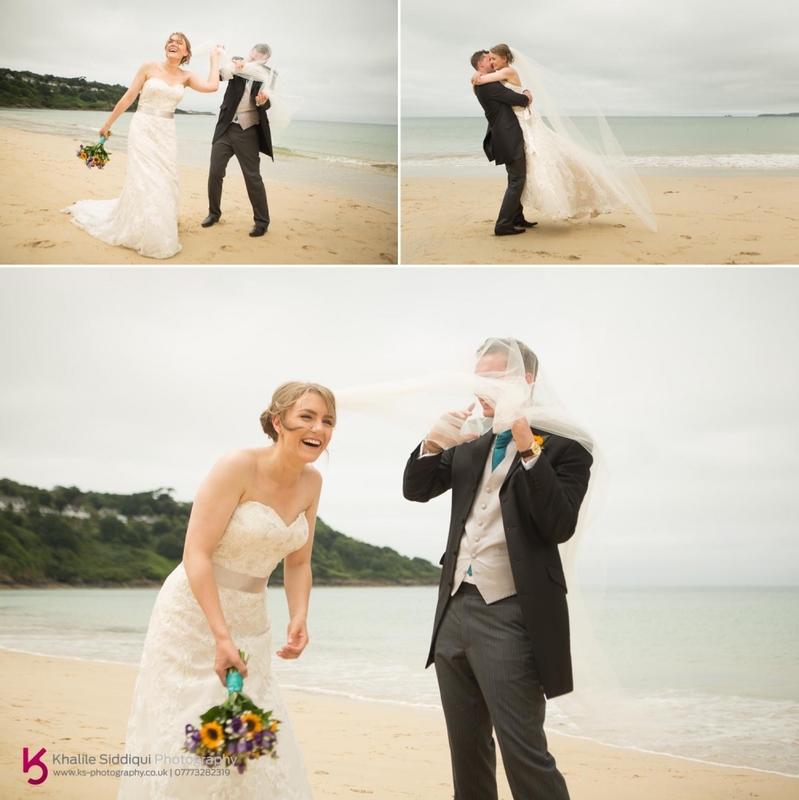 As the weather forecast was looking a bit shaky for later on we took our happy couple down the beach for some couple shots. 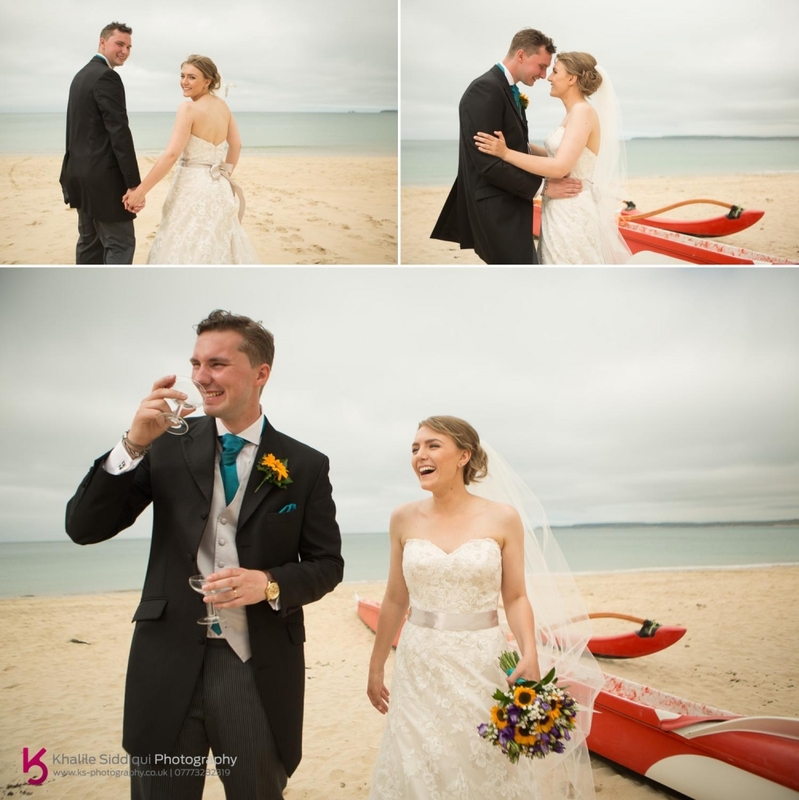 These two were such naturals in front of the camera, especially when we kept the photos quite free and easy, starting by the big kayak that seems to have a permanent home on the beach this time of year. Ending up obviously with a kiss! 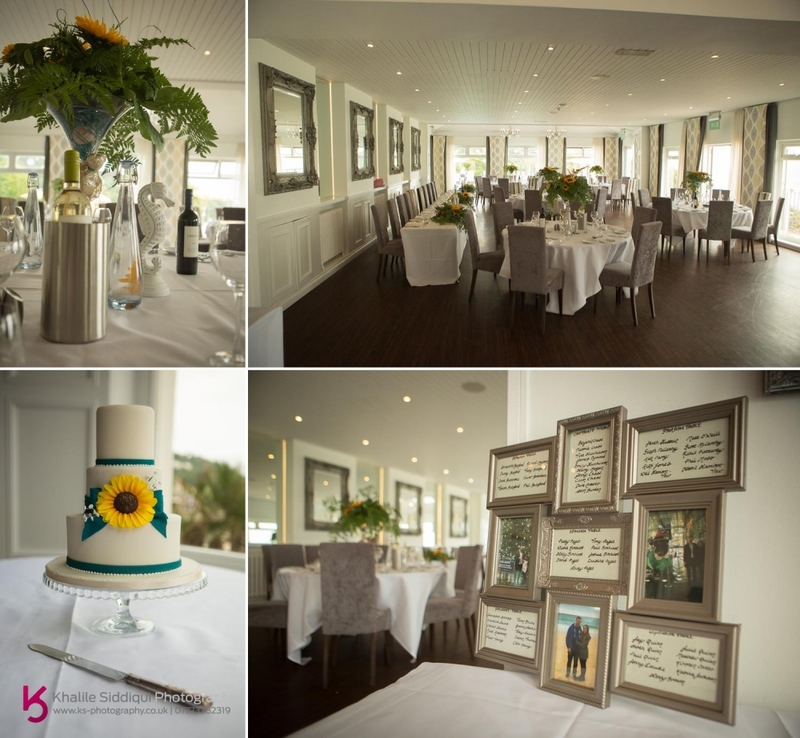 The wedding breakfast room was decorated by the loving hands of Bens mum and Nan who was a semi-professional florist, and what a beautiful job they did too. Helped along the way by one of the bridesmaids mum who's a cake maker in Wales, T'isie Teisen. After the wedding breakfast the forecast rain hadn't appeared, and being as it was such a really warm evening we took anyone who wanted to join us down to the beach, the girls we TOTALLY up for it, the boys.....Less so. For the evening entertainment Ben went with the recommendation of the hotel and booked Proper Job Disco. They supplied him an eclectic mix of tunes provided by their guests which seemed to be really well received. 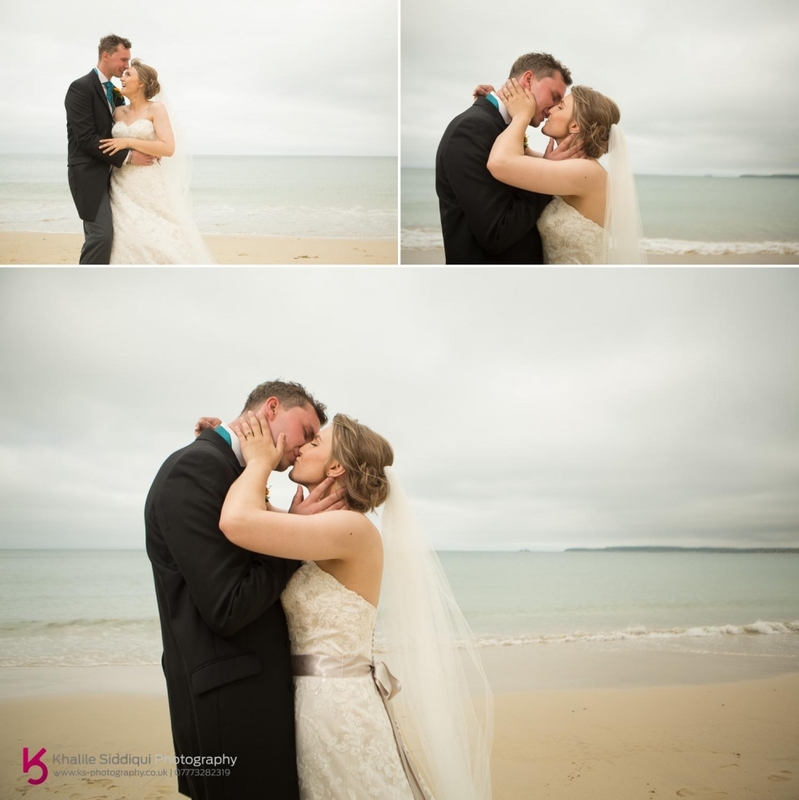 By our couple and guests! 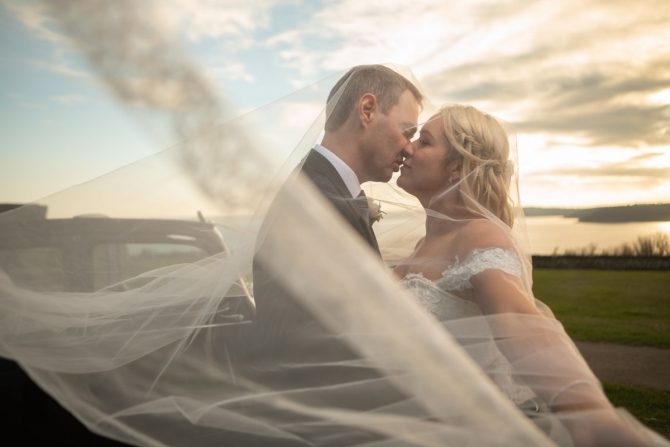 If you're planning your own wedding and are interested in using our services, wherever that may be please do MAKE AN ENQUIRY as we do travel.